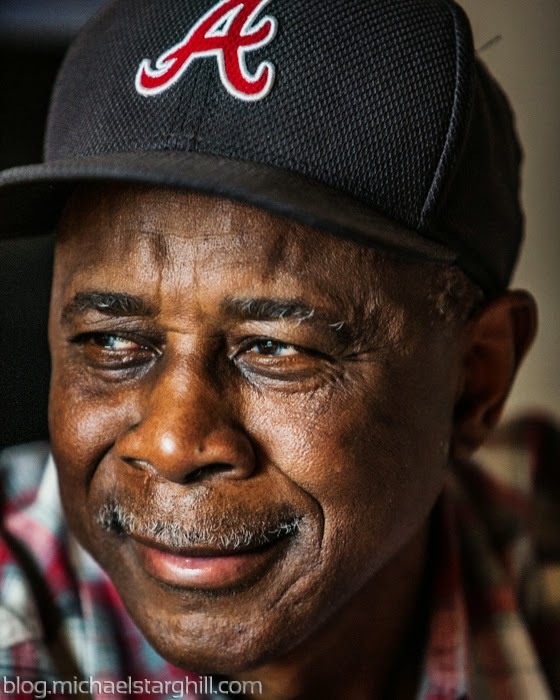 On the 8th of April in 1974, Henry 'Hank' Aaron hit another career home run over the left-center field fence. It was his 715th. This 715th home run broke the long standing record of 714 held by the one and only Babe Ruth. You've probably seen the clip of Hammerin' Hank rounding second base flanked by a couple of excited fans who ran onto the field looking to share in the joy of the moment. I've seen it. Every baseball fan has but that was all that I knew about that game and about the 1974 Braves...until a few days ago. I photographed Ralph Garr who lives right out side of Houston in a town called Richmond, TX. 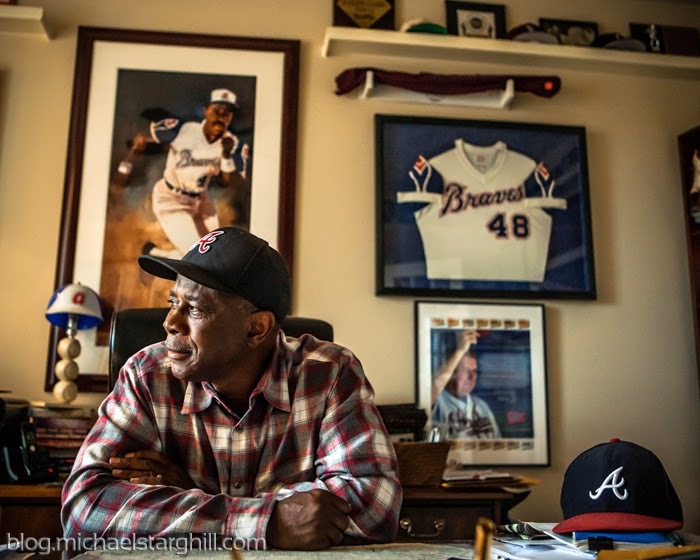 He was on that Braves team in 1974. In fact, he made the National League All Star team that year. I saw his official 1974 All Star Game program signed by many of the players with a blue ballpoint pen, the ink fading. And, Garr continued his stellar play after the all star break by winning the batting title that season with an average of .353. 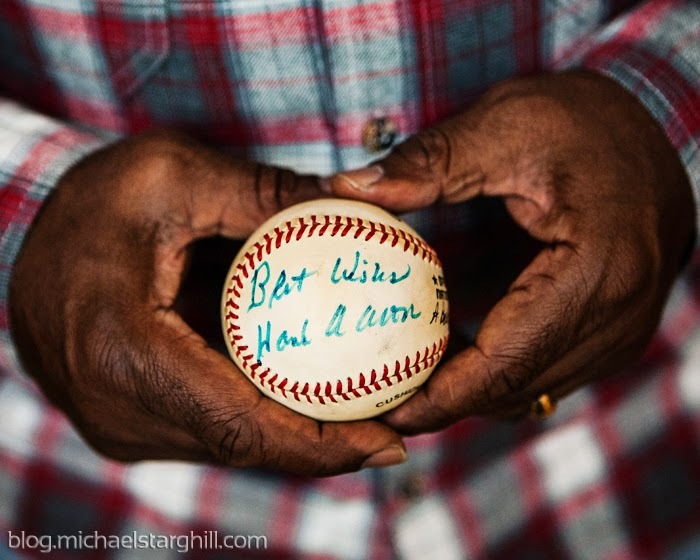 Between doing some pre-research and actually talking to him during the shoot, I learned a lot about Mr. Ralph Garr. He has a .306 career batting average. He was nicknamed the 'Roadrunner' because he was fast but didn't steal a lot of bases because Hank Aaron usually drove him in. He still works for the Braves scouting players in the Houston area who could potentially join the Atlanta organization. He also kinda reminds me of my dad. Shout out to Ralph Garr and the Houston Chronicle...it was truly a pleasure. Check out the article by David Barron here.